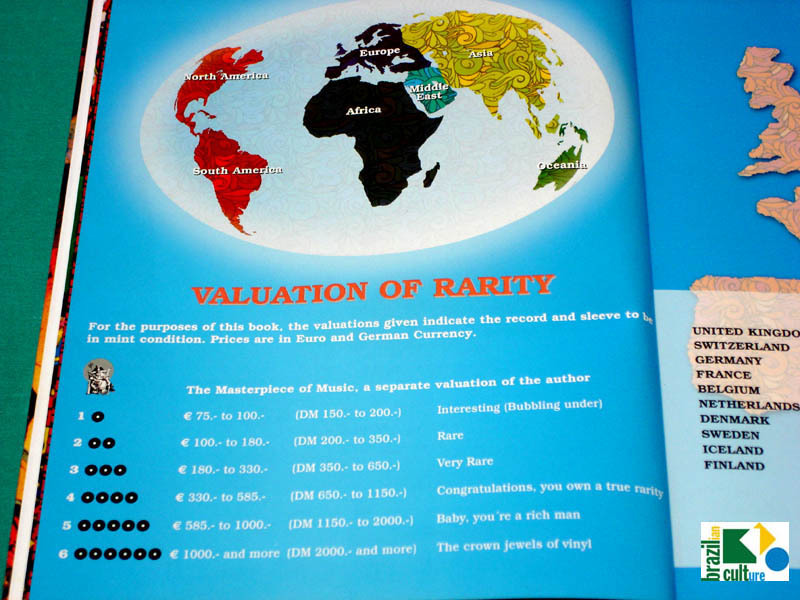 plus an 16-page index for all 5 collector booksby Hans Pokora! Selead! Number of Photos: over 1,000 colour photos. 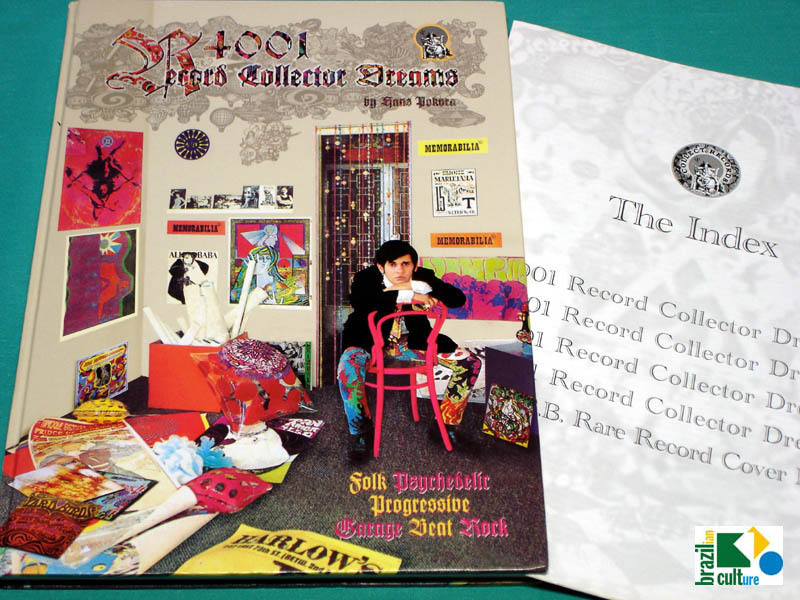 BOOK / CATALOG: "4001 RECORD COLLECTOR DREAMS" BY HANS POKORA (With a 16-page booklet INDEX for all 5 collector books) — A SEALED Mint copy of this really beautiful Deluxe Book / Catalog! With more than 1,000 obscure albums art-cover: a must for record collectors! 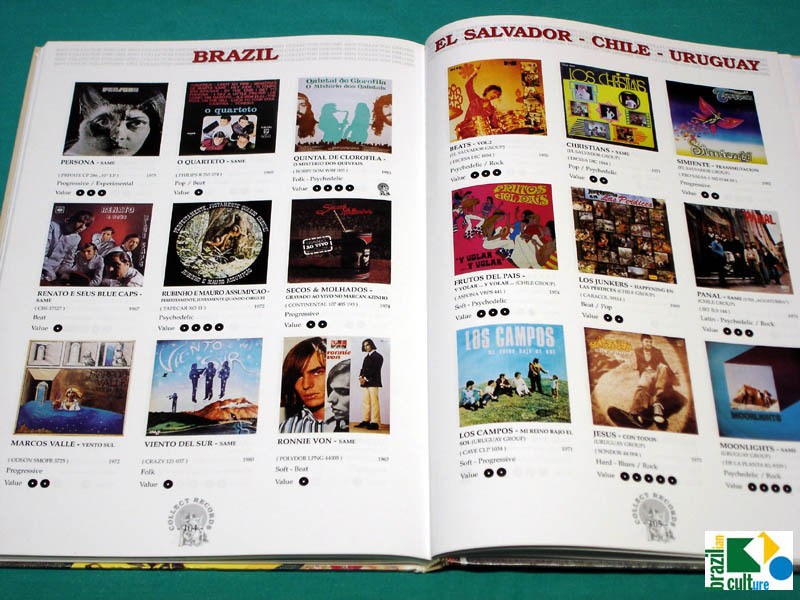 This fifth volume of this resourceful series of books/catalogs makes up a kaleidoscopic overview of the rarest and most expensive collectable albums from all over the world. This is the part five and the final chapter of this essential Book - Catalog. It also features an 16-page index for all 5 volumes of the series. All books have a Psychedelic design!! Take a look on the author's favorites albums' page! 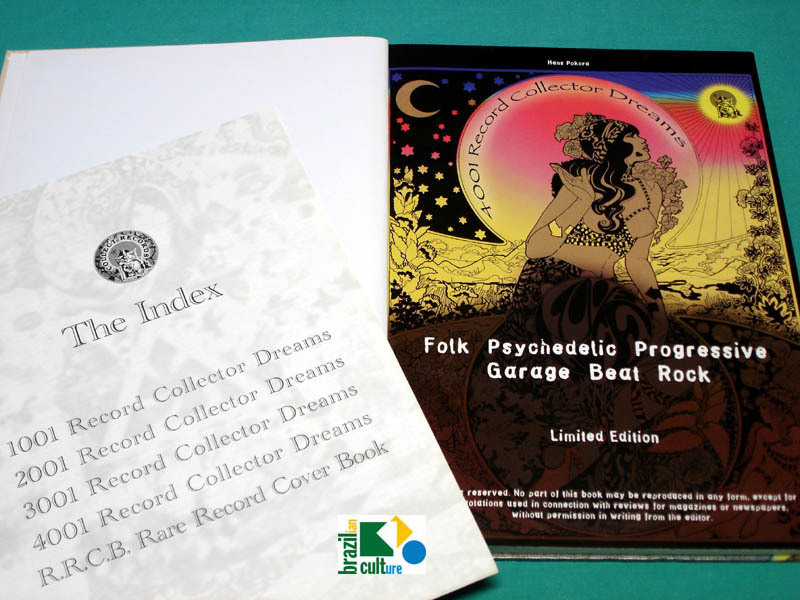 Plenty of images of the cream of folk, psychedelia, progressive, experimental, garage and beat records from the 60's and 70's, the book is packed with over 1,000 colour photos of album covers from all over the world - including the rarest and obscure collectable albums from UK, Canada, Greece, Turkey, Iceland, Colombia, Germany, Sweden, Turkey, Italy, U.S.A, Mexico, Venezuela, Brazil, Argentina, South America, Asia, Africa, Oceania and much more!